Featured is a pale pink women's dress from the early Edwardian period. 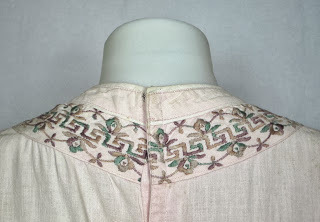 The tonal asian style embroidery is done in lavender and green. Great bold accents with the decorative carved black buttons. Slightly puffed and darted sleeves. Shaped skirt with gores and pleated panels. Unlined and fastens with hooks and eyes in back. Condition: suitable for pattern making/costume/project. General fading, light soiling, age speckling throughout. 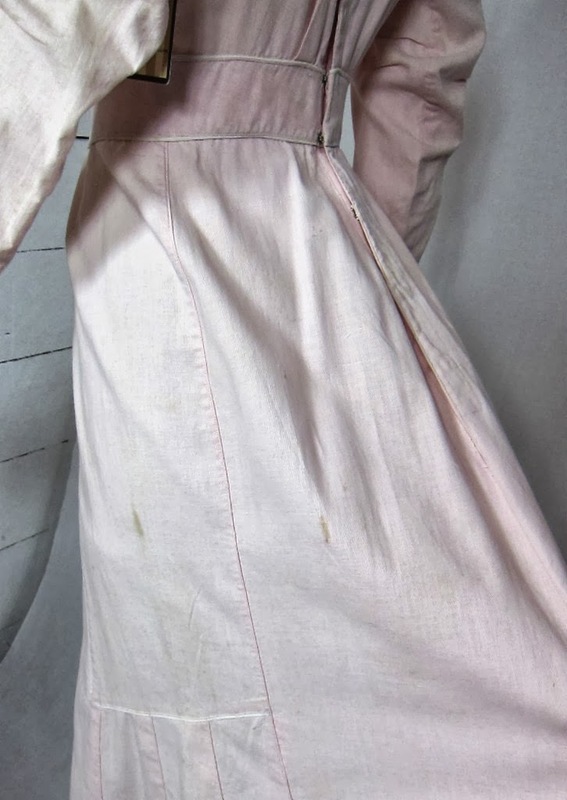 Seems to be natural fiber fabric, so many issues could be resolved if it were dyed. Please refer to all photos and ask us any questions before purchasing, thank you. 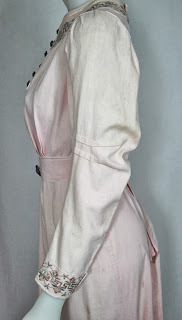 Please check out our other items as we list almost daily including auction style. We invite you to visit our boutique located at 3234 Sacramento Street San Francisco. Never, ever put your phone number in a listing. Ever. 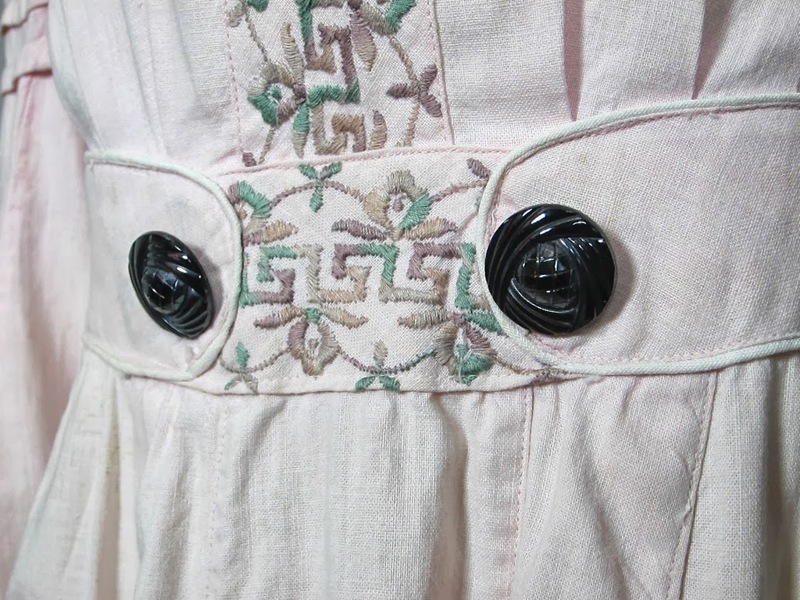 Anyway, I see nothing "Asian style" about the embroidery - it looks like normal late Victorian/early Edwardian machine embroidery to me. 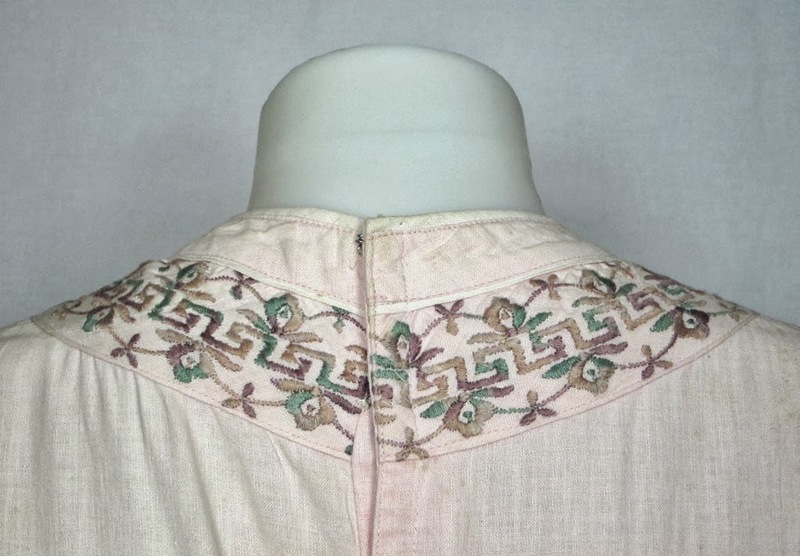 I do like the two tone embroidery. 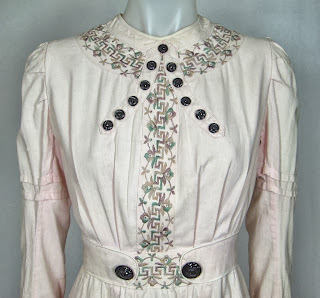 I think the dress may have started out life in the 1890's and was restyled well in the early 1900's based on the sleeves. I think those pin tucks are hiding a seam.